How many Bar Pilots are there? 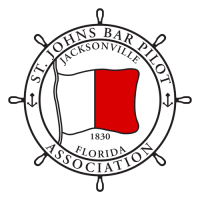 Currently, there are 14 full pilots in the St. Johns Bar Pilot Association. The actual number of pilots is determined by the Board of Pilot Commissioners based on the supply and demand for piloting services and the public interest in supporting this number. How do you become a Bar Pilot? The process of becoming a pilot is a long one. A mariner submits an application to the State Board of Pilot Commissioners documenting their background, service and character. The applicant must pass a thorough examination to be considered qualified to serve as a deputy pilot. When a pilot vacancy opens in a port, the Board selects from those qualified applicants and the State issues a certificate as a deputy pilot. See www.MyFloridaLicense.com for full information regarding the requirements for licensure as a Deputy Pilot. The deputy pilot is then assigned to the port and begins a pilot led training program under probation for the first year. If their progress is successful during that year they will be issued a certificate as a deputy pilot valid for 2 years. The pilot training program lasts for at least 2 years and includes observation and piloting trips on increasing size vessels. Upon completion of the training program and with the recommendation of the Association and the Board of Pilot Commissioners, the deputy will be examined in all matters pertaining to the management of vessels and their knowledge of the channels, waters and the port where they wish to serve. The successful completion of this exam results in the deputy becoming a full pilot. What ships require a pilot? Vessels that draw 7 feet or more of water, and are not exempted by the laws of the United States, are required to have a licensed state pilot or certificated deputy pilot on board to direct the movement of the vessel when entering or leaving ports of Florida or when underway upon the waters of the bays, rivers, harbors and ports of the state. How far is it up river to each berth? The distance from the ocean to the facilities located up the river are available at the Jacksonville Marine Information Exchange web site facility page. What is the maximum draft in the river? The controlling depth of the main ship channel is 40 feet. Specific restrictions are available on our procedures page. 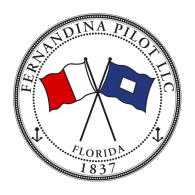 FHPA’s state-regulated and licensed harbor pilots have been taking navigational control of foreign flagged cargo and cruise ships and directing their movement into and out of Florida’s ports for decades. Harbor pilots possess intimate local knowledge of their ports and are specially trained in shiphandling in narrow channels. Harbor pilots assist local, state and federal authorities with seaport development, new ship operations and port security. Harbor pilots are the watchdogs for the numerous foreign flagged cargo and cruise ships coming in and out of our state’s ports, 24 hours a day, 7 days a week, 365 days a year. Without harbor pilots, the lives and safety of the people of Florida and the protection of the state’s ports and coastal environment would be at risk. The vast majority of harbor pilots currently licensed by the State of Florida have graduated from a four-year federal or state maritime academy, which are equivalent to the nation’s military academies, demanding a high level of scholastic performance in a military environment. A graduate of one of these maritime academies earns a bachelor’s degree and a U.S. Coast Guard license as a deck officer-third mate unlimited. The typical state pilot then leaves his or her family and goes to sea, serving on ocean-going vessels for 10-12 years, working their way up through increasing levels of responsibility, until the vast majority advance their license to an unlimited master and also sail in command of oceangoing ships. All of FHPA’s harbor pilots are independent contractors, belonging to one of the 11 individual member associations within our state’s pilotage region and are responsible for maintaining and operating one or more offices and pilots stations, pilot boats, dispatch systems, electronic equipment and administrative services. Pilot fees are set by the Pilotage Rate Review Committee, whose members sit on the full Board of Pilotage Commissioners. All members are appointed by the Governor. The most dangerous time for harbor pilots is transferring to or from the pilot boat on a rope ladder. In a rash of deaths between January 2006 and February 2007, four U.S. pilots and a pilot boat operator were killed during transfers.